Laphroaigs’ Live broadcasts have been enjoyed by over 100,000 whisky fans over the past half-decade, with this year’s 5th annual show set to be the biggest and most exciting yet. 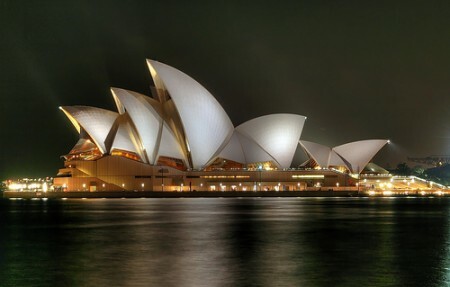 Laphroaig Live 2011 will be broadcast live from Sydney, against a stunning harbour-side backdrop with views of the iconic Opera House. Views that have no doubt changed somewhat since they were enjoyed many years ago by one of the founders of Laphroaig, Alexander Johnston. throughout the World. Then in 1836, Alexander sold his share of the distillery to Donald for an unthinkable sum of £350 and he and his family set sail for Australia where they began a new life. Alexander’s great-great-great granddaughter, Lin Johnston, will be joining the event in Sydney along with current Distillery Manager, John Campbell, Master Blender, Robert Hicks and author, Rebecca Varidel for an unforgettable tasting experience. During this year’s live show they will be opening and tasting a historic Laphroaig 10 year old, distilled back in the 1950s in one of the last batches ever to be bottled by Lin Johnston’s ancestors. Very few of these bottles remain today, and those that do are collectors’ items, so tasting this ancient liquid really will be a momentous occasion.